The article considers the application of the environmental monitoring for detection of influence of the environ-ment pollution which produced by the chemical industry facilities on the water and agricultural resources. 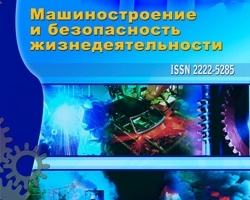 The analysis of the environment situation in the region of Murom Instrument Plant is carried out. The character of pollution and its chemical composition is developed. Finally, the solution for normalization of the environmental situation is proposed. Keywords: environment, environmental monitoring, environment pollution, sewage, anionic surfactants heavy metals. Vernadsky V.I. The chemical structure of the Earth’s biosphere and its environment. – Moscow: Nauka, 1965. – 354 p.
Yakovenko G.P. Environment monitoring. Part 1. – Vladivostok, 2007. – 180 p.
Gritsenko A.V., Lisiev V.N. Biosphere monitoring – Kharkov: HTADTU, 2000. – 100 p.